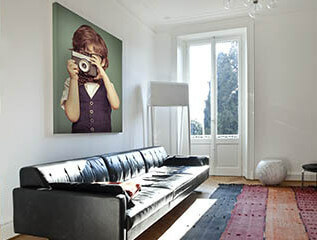 Turn your favorite photo into high-quality canvas artwork! Get the sophisticated aesthetic of an art gallery by adding a premium frame and enjoy your photo on high-quality, hand-stretched fabric! Enjoy new, truly sophisticated photo decorations in aluminum, acrylic or forex formats! Each material boasts its own unique set of qualities: just choose the one that’s right for you! Completely original, creative and suitable for any festive occasion, photo gifts offer a wide selection and an original approach to help you relive your memories in photos!